A well defined digital strategy is imperative to achieving higher productivity. Our digital solutions are always built around your short and long term goals, to ensure continuity as your business grows. We set out to give you greater transparency in business processes by recording realtime information that allows you to make better informed decisions. We see that every company can benefit from digital transformation. We help you recognise the innovations in technologies that enable your business to perform better. We look to understand your business and customers current state, allowing us to help you identify growth opportunities, drive engagement and introduce a positive transformation. The power, and accessibility, of portable devices have allowed mobile applications to take advantage of desktop grade performance on the move, 24/7. We help clients harness this power to deliver affordable solutions with automation and managed workflows that increase task reliability and speed. Colour On Code distributes your applications in a secure environment through access control to ensure your applications are only used by trusted parties. All of our mobile business apps are developed in-house and bespoke to meet your business requirements. We work with the latest technologies to ensure that your applications integrate with secure and reliable systems. This platform will be the brains of your application and requires all of the care and attention such a system deserves. 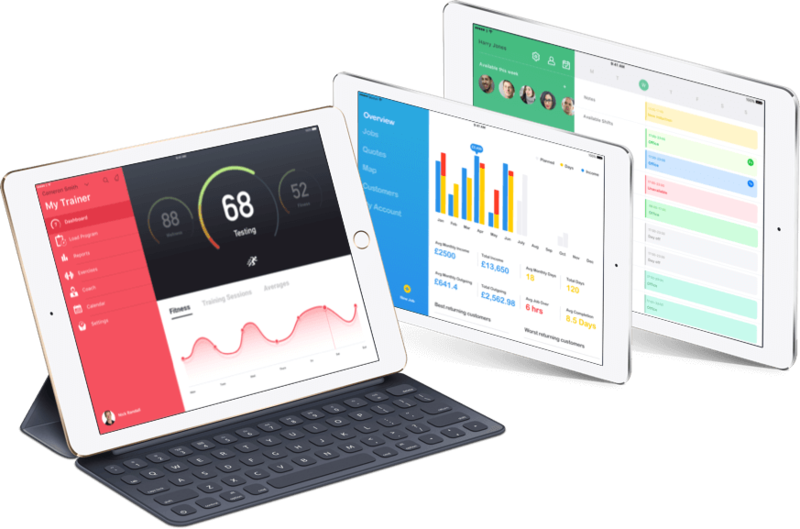 iOS allows you to transform the workforce and build the next generation of apps on iOS, tvOS, watchOS and macOS. On top of a stunning operating system comes incredible security which is crucial for your business applications. Androids open source nature means that devices become very affordable, while running a sophisticated and powerful operating system. The accessibility of Android devices make it great for business applications. Web applications are the most affordable and support the largest audience base as a web app can be designed responsively, meaning it can work on a mobile, tablet and desktop device.